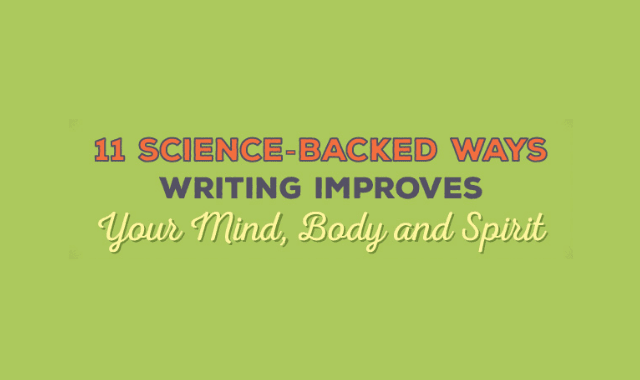 11 Science-Backed Ways Writing Improves Your Mind, Body and Spirit #Infographic ~ Visualistan '+g+"
For many of us, writing is just a practical tool. We use it to communicate our thoughts, ideas, and experiences with other people. Other times we use it to share information, persuade, or as a creative outlet. Most of our writing today comes in the form of academic work, emails, and social media posts. You may think that outside of these uses, writing may not be able to play a role in your life. However, considerable scientific research is showing that writing has exciting health and wellness benefits too.